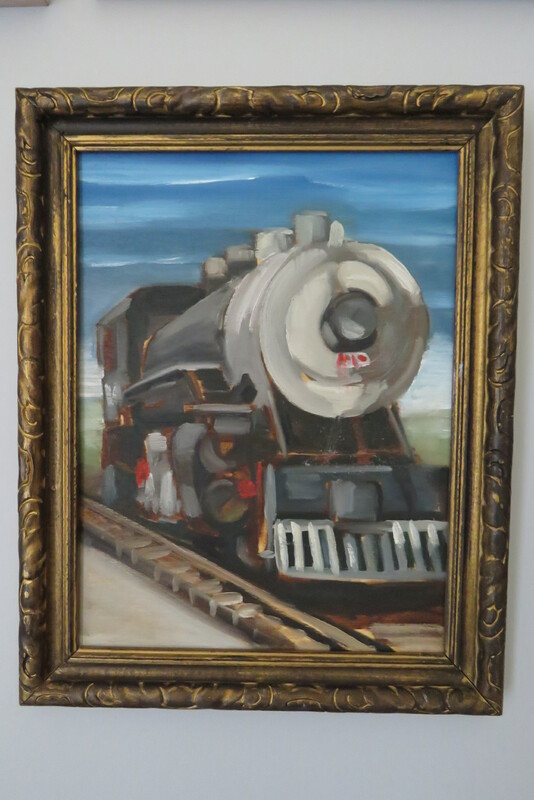 I’m taking my time thinking about my attachment to images and have decided to take out one of my own mountain nocturnes and replace it with the Mark Vazquez-Mackay depiction of a train engine that I purchased at auction this past year. 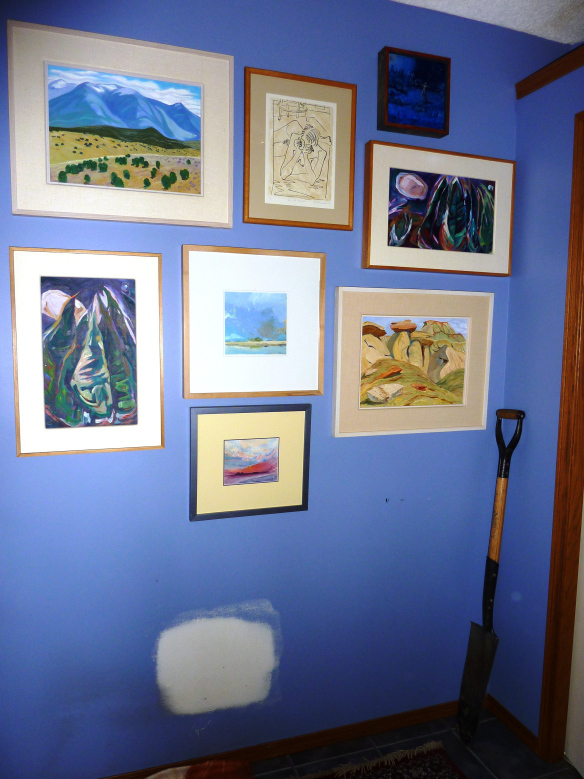 This wall is still in progress for its arrangement of original art. Consider starting your own collection. I feel so blessed to have ‘won’ this and it is among my most treasured pieces. 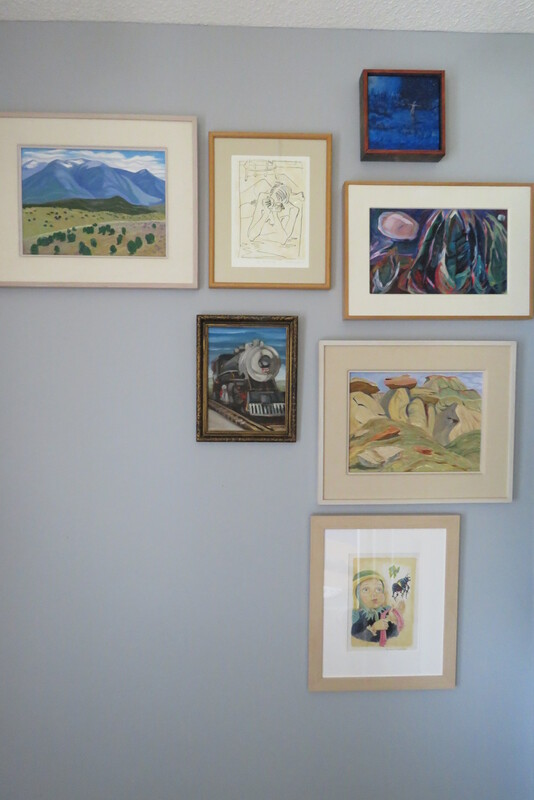 I’ve placed it next to one of my Doris McCarthy pieces, a painting of the Hoodoos…and just beneath another female mentor, Laurel Cormack’s figurative piece. 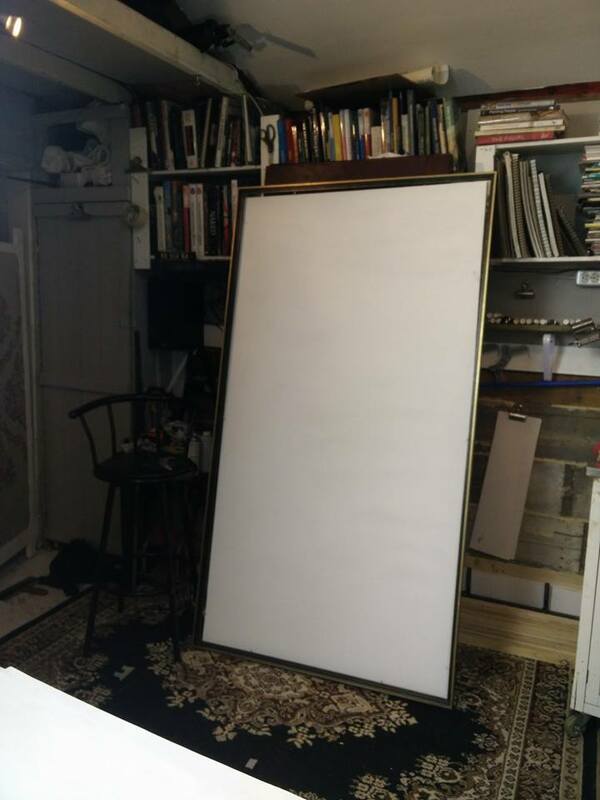 I’ve visited Mark’s studio...thanks to friend, Wendy Lees who has been a connector in the fine arts in Calgary through both her Love Art in Calgary tours and her dedication to providing quality creative programs in the East Village via create! Mark is a marvel in the studio and I’m so grateful to have an example of his work in its rich, yummy palette…almost with regal undertones…for its incorporation of red and its warm fleshy tones. If you wish to see Mark paint, he’ll be at Rumble House tomorrow evening. Stop by and say hello and ask him about his process and while you’re there, say ‘Hi’ to me as well! He’ll be painting on THIS!